Rick Grove came to prominence in the mid-1970s. 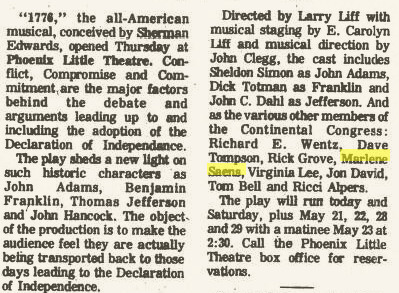 He was noted for his strong masculine performances, especially his Stanley in “A Streetcar Named Desire” at Phoenix Little Theatre. 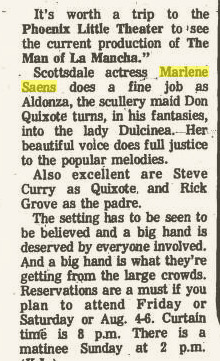 1977, “The Man of La Mancha,” Phoenix Little Theatre, with Marlene Saens and Steve Curry. 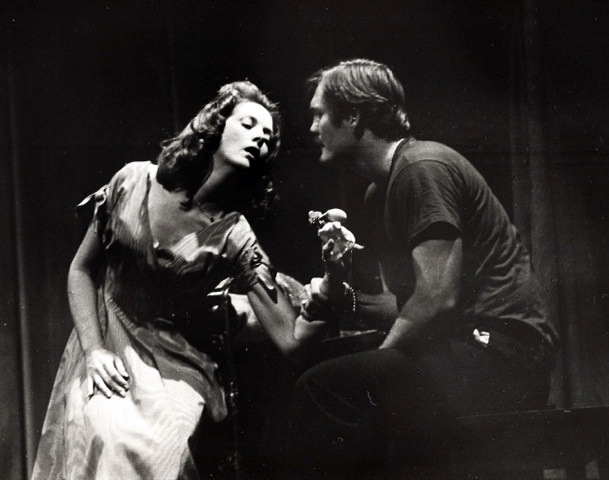 1976, “A Streetcar Named Desire,” Phoenix Little Theatre, directed by Ruth Willis.